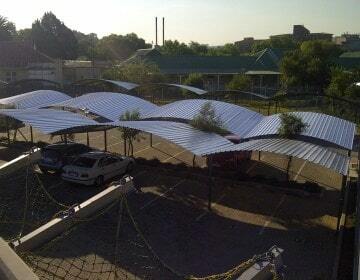 We have been covering Gauteng with Shade netting carports for the past 10 years, our aim is to provide Quality structures and shade netting, while it’s known that our prices are unbeatable. All our shade netting are between 90%-95% sun block out. 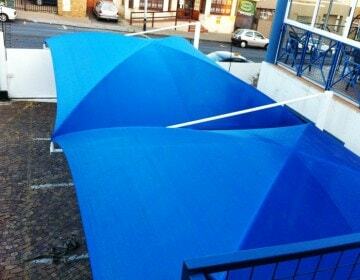 We also offer an Arched IBR Sheeted carport option. We mostly install them at Office parks but we can also install them at yourpersonal residence as they come in single, double and triple sizes. Our Canti-lever option shadeport is developed specially to suit parking areas with little move around space, as the ground posts are at the back or front of the carport enabling you to park your vehicle with ease. 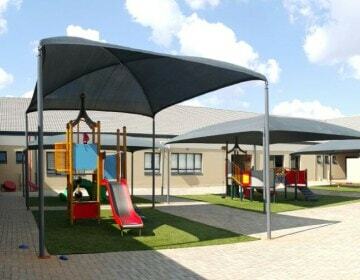 We also offer this option as it’s a cost effective way to keep your assets covered from our harmful South African Sun, be it your Children’s playground or Vehicles.